Discussion in 'Dovetail Live Article Discussion' started by TrainSim-James, May 16, 2018. Just Trains’ Kyle Line is coming soon, and with it over 80 miles worth of stunning Scottish Highland scenery! With all due respect, JustTrains' routes are not the best routes compared with more modern routes released this or even last year (WCML Trent Valley being one). To me, this just appears like a cash grab, almost like the ECML York to Peterborough a few months ago. 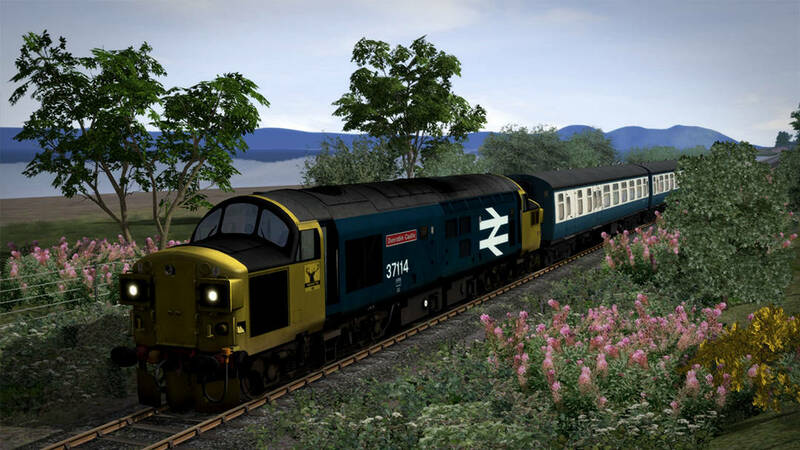 To be fair their custom buildings do tend to be very good but on Western Mainlines they really do let themselves down with lots of the other trackside scenery (trees, foliage, flowers, hedges, grass, generic buildings, cars & so on) withincredibly repetitive and low-res assets. For me, the colour palette (including the Oxford to Bicester add-on) is also very very wrong, with many of the summer trees being a very vivid billiard table green - sadly you can see that this is also the case in the pictures in the article which would indicate that it’s likely to be the same. Another issue with the scenery on routes of theirs I own is that it tends to visibly load in chunks, with some significant associated drops in frame rates. It’ll be very disappointing if nothing has been done to better this route as, let’s face it, it is not new and has already been around for a number of years. Sadly I suspect we’ll find that this is absolutely the case and it’ll be exactly the same as was released at least 3 years ago. Have a look at people demo-ing it on YouTube, it just doesn’t look all that great in comparison with many other routes. I feel that if they’re going to charge the same/normal price for it (it’s currently £20 on their website) then hopefully it’s had some work done to it.